Some people gain body weight very rapidly due to various reasons. Usually general people are not much conscious about this development but same case is not there in showbiz industry. Here if someone gets extra weight then decrease his or her scope in the career. He or she then is not offered leading role in any film or drama and gets along with supporting roles, if any. Even some artists do not receive any offer at all. This is why celebrities are very conscious for maintaining their ideal wight. According to media reports appeared recently some celebrities who gained extra weight tried successfully to control it with various efforts including hard exercises. 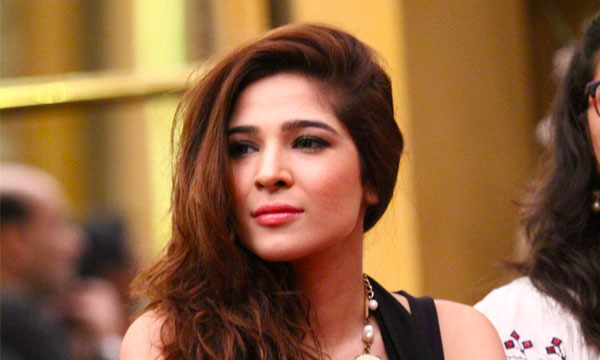 Ayesha Omer too, is one of such celebrities who are very careful towards their health and physical condition specially with respect to weight gain. According to the reports she has made a such effort to control it. Actually, It is a very good idea that if somebody works hard mentally and physically to make a good status in any field, its position should not be affected by any such health factor. Ayesha is the person who has made career with her talent and continuous hard work.The actress describes her childhood period as very hard. She was only one year old when her father passed away and then her mother raised her and her brother.When she went for study in school and college, she used to participate also in extracurricular activities and got appreciation. She also attended National College of Arts. This is a very prestigious educational institution that prepares artists and experts of fine arts. Study in this college also makes trend and mind for aesthetic activities and people after completing their study here become the experts of their field. Aysha, in addition to the study in this college also increased her knowledge about theater. Then she started her career with modeling.and performed in several commercials of various famous brands.Latter she worked in dramas and films. She gradually established herself as a talented and successful actress. She also participated in New York Fashion Week as Pakistan’s Spokesperson.